Another day of clear skies and really hot weather out here in Singapore. I completed this necklace with a line of unique bloodstone agate nuggets in shades of maroon with streaks of bluish mauve. Gorgeous stones which measure approximately 18 - 23mm are separated by round silver spacers, a lovely flower crystal pave connector measuring approx 4.5cm with a 14mm shell buton pearl with handmade lampwork glass beads on either side of flower and on the other side a small cluster of maroon Swarovski pearls and opalite rondelles. 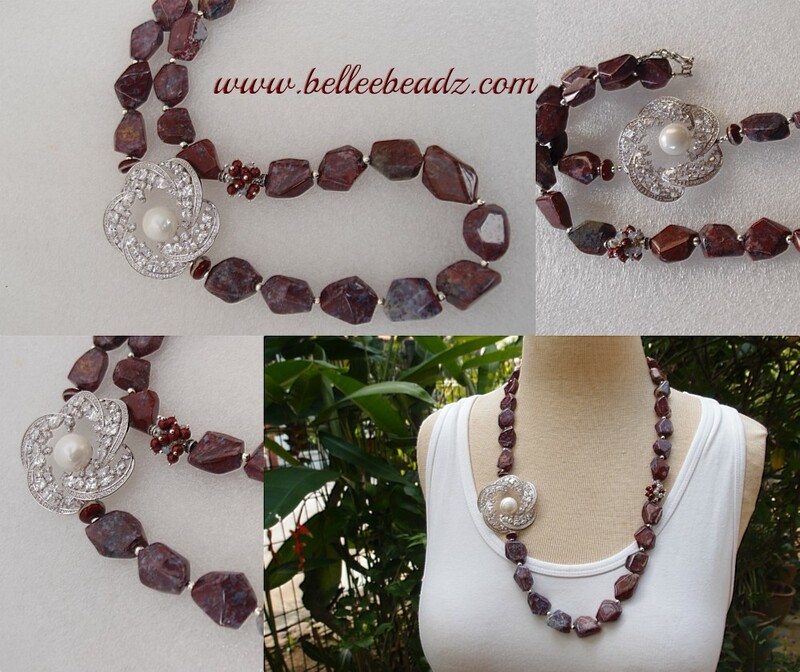 Necklace measures approx 66cm/26"